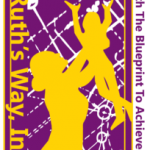 Homepage Uncategorized Ruth's Way's Celebration Extravaganza For Our S.T.A.R.S.! Celebration Extravaganza For Our S.T.A.R.S.!!! !